Get ready for a blast from the past! Follow the sun with this Peruvian tribute to the Sun God ‘Inti’ – the most venerated God of the Inca’s. 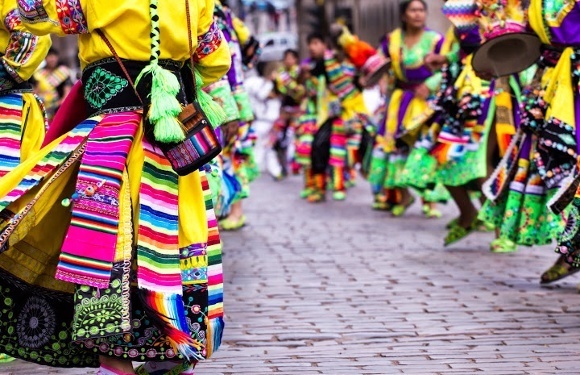 If you enjoy reenactments of traditional rituals, colorful costumes, extravagant feasts, and festive parodies surrounded by an aura of magic and mystery, be there in Cusco on June 24th for Inti Raymi: Festival of the Sun. In the ancient Incan language Quechua, ‘Inti’ means Sun and ‘Raymi’ celebration. Therefore, Inti Raymi is a celebration of the Sun God, the most revered God in the Inca religion. This nine-day celebration, worshiping the Incan God ‘Inti’, marks the winter solstice or the first day of the New Year in the Inca calendar. 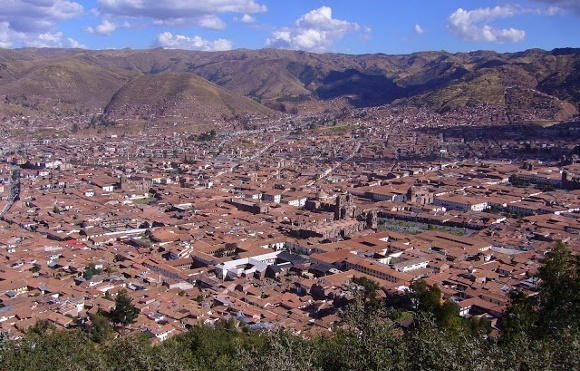 It is held each year on June 24th in the city of Cusco. Hundreds of thousands of devotees throng to Cuzco, Peru, for the elaborate and imaginative reconstruction of this historic traditional ceremony. An epic day full of events on 24th June, this is the culmination of a week of frenetic festivities and celebrations. The Spanish Colonial conquistadors banned the ceremony in the 16th century, seeing it as a pagan ceremony conflicting with their Catholic faith. 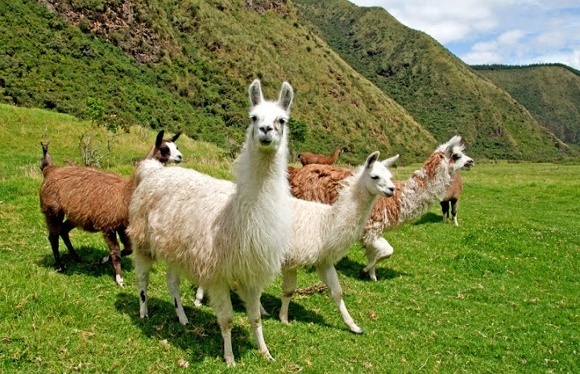 Prior to this suppression, native residents of Cusco would gather to honor the Sun God, hold fancy banquets, sacrifice llamas to ensure bountiful crops, and pay homage to the Inca to return and bless them. Inti Raymi is a festival celebration that is both reverent yet jovial. 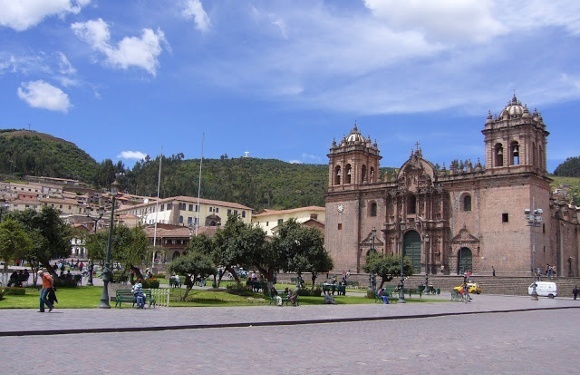 The celebration starts by 8 am in the City of Cusco on the main Plaza de Armas in front of the remains of Qurikancha – the Sun Temple. The procession meanders along streets resonating with lively music, euphoric dancing, chanting of prayers and scattering of flowers, followed by cleaning ladies with brooms who sweep away ‘evil spirits’. The rainbow colored Inti Raymi flag is hoisted as a mass takes place in the Cathedral. The ceremony has three different scenes in three different locations. 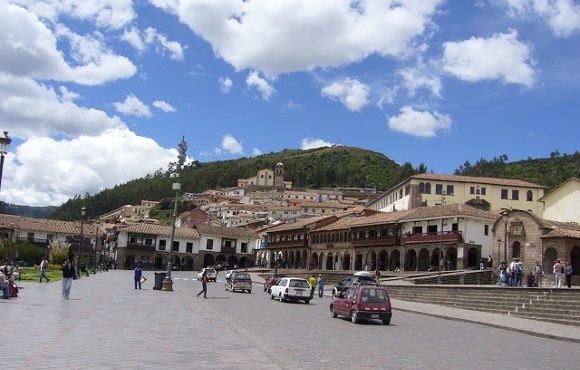 The Sapa Inca addresses the Sun in Quechua and thanks him for all his blessings – this ritual takes place on the main plaza during the first and second scenes. Many priests and participants are dressed as snakes, pumas and condors. At sunset, there is a great fire and dance ritual honoring Tawantinsuyo, the Inca name for their territory. ‘Tawa’ means four, ‘Inti’ means sun and ‘Suyo’ means direction, and together they signify ‘The Four Directions Under the Sun’. The finale involves a procession with the Inca carried on a throne in a golden chariot (a replica of the 60 kg original one), and the Sun King and Queen held high atop their thrones. 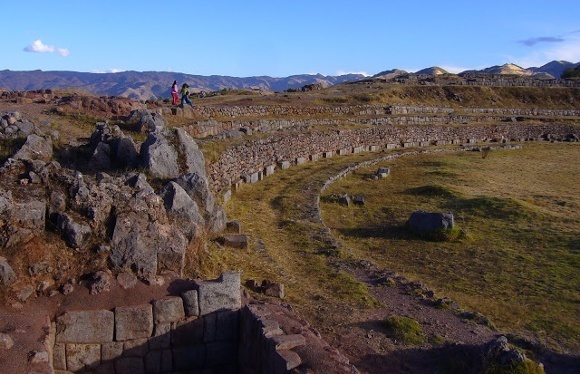 They make the long march to the Fortress of Sacsayhuamán, a hefty stone ruin shrouded in mystery that is five kilometers from Cusco, Peru. Once there, the Sapa Inca performs several rituals and sacrifices thanking the Sun God for his generosity and blessings. The week long celebrations commence just before the new year festivities, with concerts, folk dances, musical bands and street fairs. To a large extent, parts of the festival celebrations are less about traditions and focus more on just having fun. 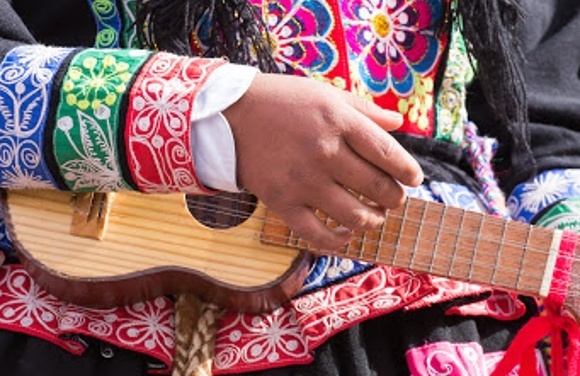 Lose yourself in playful song and dance at this unique cultural phenomenon, and savor the opportunity to try some delicious, local Peruvian cuisine. Traditional ‘Andean Cuy‘ (pronounced “coo-ee”), or guinea pig, an important source of protein, typically fried or roasted, and accompanied by rice and corn. Another must try – the national cocktail, ‘Pisco Sour‘. 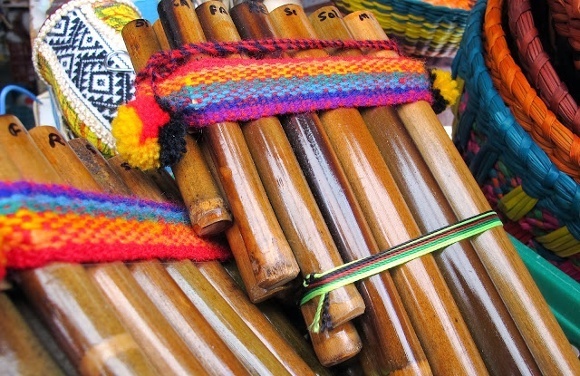 Traditional handmade Peruvian ‘Pan Flutes or Pan Pipes’ souvenirs – each set comprises of a number of hollow tubes closed at the bottom and open at the top, carefully cut and shaped to tune them. Another great gift or souvenir – ‘Alpaca Rugs and Throws’, made of different colors of alpaca skins sewn together in geometric patterns. 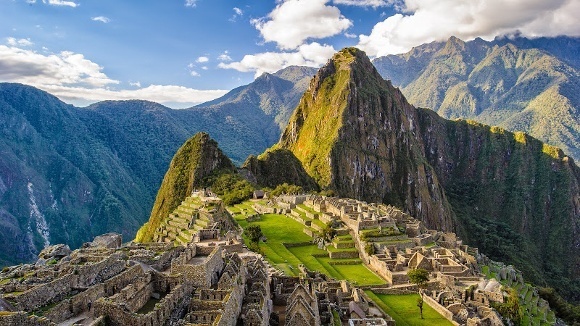 The UNESCO World Heritage Site of ‘Machu Picchu’, the real temple of the sun, which is a half-day train ride from Cuzco, through spectacular panorama. 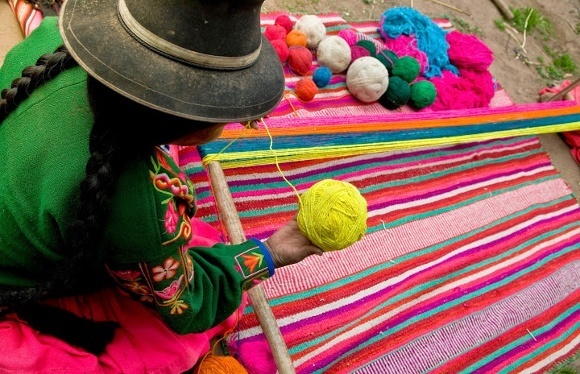 Design your own trip to Peru with help from experts. Wonderful post about this place and their culture. In this place i like Traditional handmade Peruvian.